We are committed to offering you reliable customer service, quality products and our passion for prompting. Brian Larter brings more than 27 years of experience in management, sales, marketing and product development to CueScript. 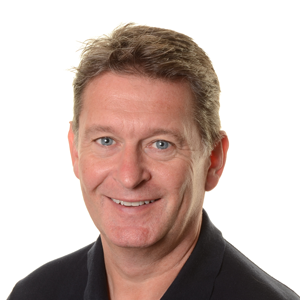 As a well-established leader in the broadcast industry, best known for his work in creating revolutionary prompting solutions, Brian acquired his comprehensive skill set from having worked at top-tier broadcast organisations, including Autoscript, Autocue and Vitec Videocom. 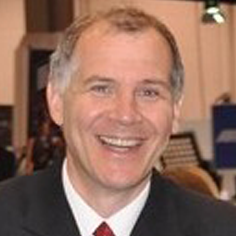 Prior to launching CueScript, Larter received his industry start in 1986, working in the sales and rental divisions at prompting manufacturer Autocue. During his 17 years spent at the company, Brian won, and then oversaw, the organisation’s BBC News contract, which came to be known as one of the largest, most noteworthy prompting deals in the history of both Autocue and the prompting industry, at large. From Autocue, as a member of the Autoscript Management Buy-In (MBI) team, Brian went on to serve as Managing Director of Autoscript from 2004 to 2013. Ultimately, Brian’s significant sales and rental growth contributed to the successful sale of the business to Vitec Group in 2006, during which time he became a senior management team member of Vitec Videocom. Brian, along with Michael Accardi and Peter Carey, drew on their collective past experiences to launch CueScript. Together, the three thought-leaders unite on this next venture with the goal of growing the company into a leading prompting solutions brand. Jelly stuff in a pork pie, just wrong. The Simpsons, don't get that either. Did I mention cricket... Automated phones systems. Sand, can't do sandy beaches. Spiders, Superman has kryptonite, I have spiders. Michael Accardi is an experienced leader in the broadcast industry known for putting his customers first. With more than 27 years in management, sales, marketing and product development for broadcast manufacturers, Michael has procured an expansive skill set that stems from his work at top-tier companies such as Sachtler, Anton/Bauer, Autoscript and Vitec Videocom. He recently tapped into that knowledge as he, along with partners Brian Larter and Peter Carey, launched CueScript, with the goal of growing this new company into a leading prompting solutions brand. Prior to launching CueScript, Michael served as Executive Vice President of Vitec Videocom, Americas, from 2010 to 2012. He managed the sales staff for the Americas, while acting as the sales liaison to all factories, including the engineering, quality control and marketing departments. Michael also led two well-known companies within Vitec Videocom, Americas, serving as Anton/Bauer President from 2008 to 2012 and Autoscript Owner/President from 2004 to 2008. As President of Anton/Bauer, Michael strategically led the company, strengthening its position as a leading expert in mobile power technology for the broadcast market. He also worked to re-establish the brand as a pioneer of mobile healthcare technology. He succeeded in his efforts and beyond, further developing Anton/Bauer’s market share in the cine industry. During his time there, Michael expanded the U.S.-based company’s reach in the EMEA and Latin America regions, doubling EMEA sales within four years. Michael also expanded the sales and marketing staff to support company advancement and improve customer relations, ensuring that the brand consistently upheld its strong presence throughout the company’s evolution. While Owner/President of Autoscript, Michael introduced the U.K.-based prompting manufacturer to the Americas, establishing its U.S. manufacturing service division in order to increase quality, customer satisfaction and profit. After achieving industry leadership in two years and building a distribution model with network support from key OEMs, vendors, and partnerships, Michael achieved exceptional growth in market share, which significantly contributed to increased sales per camera and acquisition of additional profits. ﻿I love spending time with my kids. I also enjoy cycling, motorcycling and reading on the beach. People trashing our industry. As a whole the broadcasting industry has provided well for us as a community. Yes it is changing, embrace the change or leave. Do not stay around and trash it. Meghan Prendergast Tyler joins the CueScript team with 4 years of experience in the technical support world. 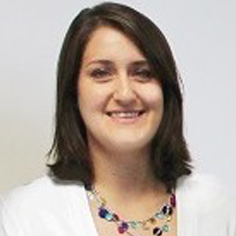 Meghan has most recently worked as an Application Specialist for Vitec Videocom and also served as an IT/Technology Specialist for Autoscript. In both roles, Meghan provided customers in the U.S., Canada and South America with phone, e-mail and remote technical support. In addition, she was responsible for handling equipment repairs and general inquiries, as well as assisting with sales and order entry and trade show support. At CueScript, Meghan is responsible for providing customers with around-the-clock technical support to ensure the highest level of customer satisfaction is being met, both immediately, and as the company continues to grow. Joanne Pizzoferro comes from serving as the General Manager at Autoscript, where she was accountable for managing the day-to-day running of various departments. Such responsibilities included managing budgets, financial forecasts and year end audit work, recruiting, training, overseeing staff welfare, and maintaining relationships with clients and suppliers. Prior to Autoscript, Jo worked for Autocue co-managing the running of the hire department. 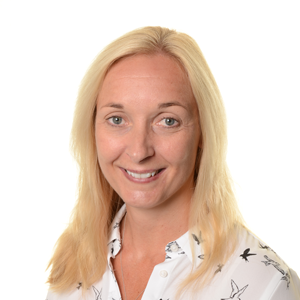 In her new role as Managing Group Accountant, Jo will use her experience from 16 years in the industry in supporting the entire team with her management skills. 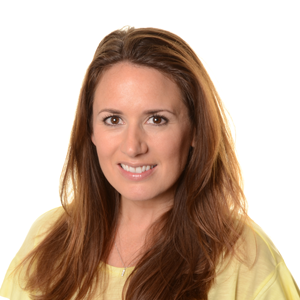 Charlotte Latham joins the CueScript team as the Manager of Sales and Operations, with 13 years of industry experience in various aspects of sales in the broadcast space. Charlotte's primary responsibilities in the past have included overseeing international sales and distributors as International Sales Manager at prompting manufacturer AutoScript, and later the role of Rental Manager, which led to the duties of attending events and managing a team in charge of sourcing to several primetime television programs such as Strictly Come Dancing, X Factor, The Graham Norton Show and The Brit Awards, among others. Prior to Autoscript Charlotte was an operator for Autocue. In her new role, Charlotte will continue to use her proficiency in sales to assist with overseeing the growing company and customer base. 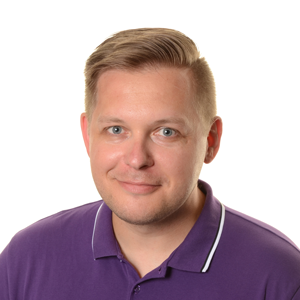 Kamil Pietrzyk joins the CueScript team as the Technical Support Engineer with 4 years of experience in prompting industry and previous experience as hardware IT support. Being part of Vitec Videocom and Autocue Kamil was responsible for maintaining customer e-mail, phone and remote technical support, carrying out service and repairs for the range of Autocue prompting products for EMEA and APAC markets. Love Formula 1, cycling, karting and competitive video games. Hate celery sticks, late trains and busy shopping centres. 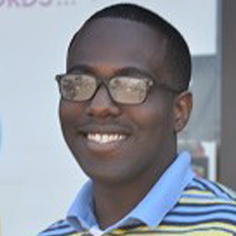 Kyle Sabre joins the CueScript team with 4 years in diverse customer support and sales roles. Kyle also has a background in cinematography & photography of over 5 years. 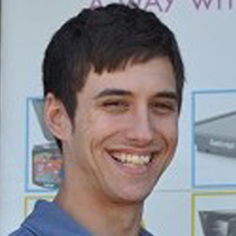 Kyle’s primary responsibilities with CueScript are with inside sales support for the Americas. Together with the team, Kyle oversees the customer’s experience when purchasing from CueScript. From initial contact, to demos, tradeshows and sales, Kyle’s expertise with helping customers and understanding from a industry perspective makes him a great go-to for all things prompters. A former apprentice developer from Indie-Soft’s A100 Software Developer Apprenticeship Program, Nate is currently an undergrad at Southern Connecticut State University. Religious Basketball fan (College & Professional). Addicted to Citrus and Granny Smith Apples. The Texture Of Laminated Paper. Manuel Gonçalves joins the CueScript team with many years’ experience in all areas of supermarket management practices, including logistics. Manny prides himself in being multilingual, energetic, friendly and self-motivated. As an instructor for seven years, Manny has built up a valuable skill set including understanding the planning for contingencies, computer generated ordering and controlling inventory management systems. He will continue similar responsibilities in CueScript’s Logistics department, maintaining the CueScript inventory and warehouse. Manny’s proficiency will ensure customer experience is of the highest standard, end-to-end. If you are a talented individual then we would love to hear from you.